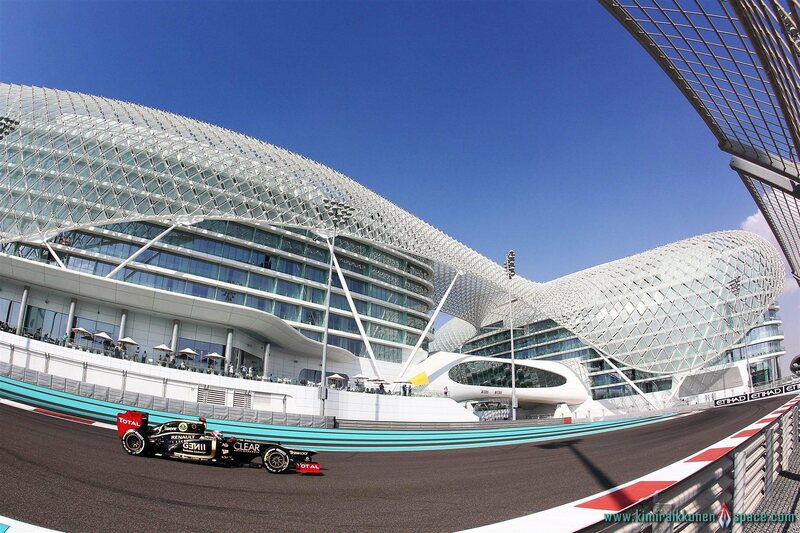 November 3, 2012 November 3, 2012 Evenstar Saima4 Comments on Abu Dhabi GP – Qualifying: 5th! Abu Dhabi GP – Qualifying: 5th! A solid overall performance in qualifying at the Yas Marina Circuit this afternoon will see Kimi and Romain take up P5 / P10 respectively on the grid for tomorrow’s Abu Dhabi Grand Prix. Thanks! But according to me they are already asleep, because they did not yet report that Kimi is on P4 because of the disqualification of Vettel….or maybe celebrating?